Service Steel proudly introduces its all-new Detroit Michigan steel tubing micro-site. This is the first in a series of location based micro-sites scheduled to go live later this year.The brand new micro-site is designed to provide customers located in the Detroit, Michigan region with a detailed list of specialized steel tubing products and services specific to their area. 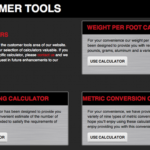 Knowing that quality is always best when bundled with convenience, the brand new micro-site also provides customers with access to a steel tubing weight per foot calculator, a steel tubing cutting calculator and a variety of metric conversion calculators. 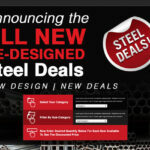 Also included in the new micro-site is a direct link to the all-new Service Steel Detroit, Michigan Google Plus page. Customers using Google Plus may now enjoy a quick and convenient way of learning more about Service Steel Detroit.